You are currently browsing the tag archive for the ‘life lessons’ tag. We’ve had company for the past week and what fun it’s been. Days jam-packed with people I love is something so wonderful I hardly have words for it. Seeing the pasture through his eyes is always illuminating. 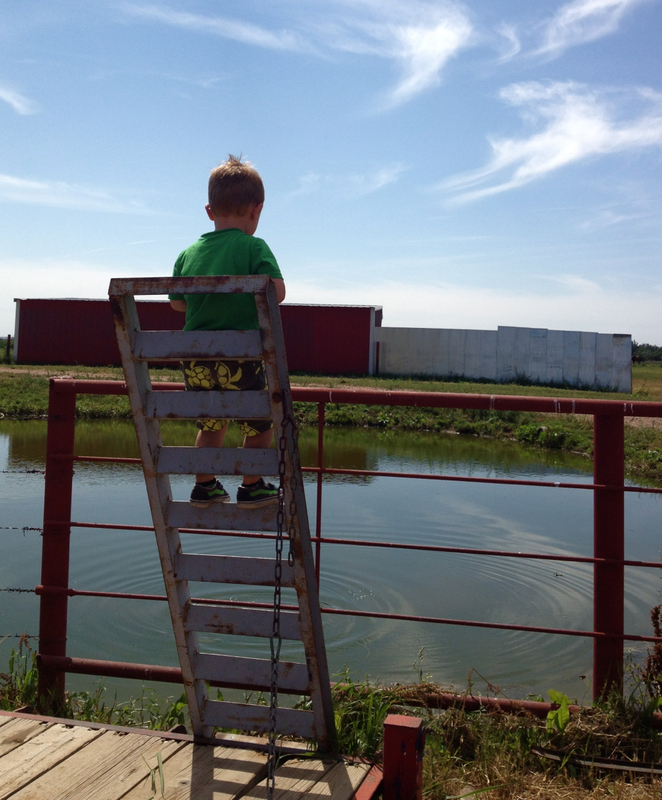 This year he was less interested in the horses and more focused on climbing the farm equipment and throwing rocks in the pond. In the process he helped me remember an important lesson about life. It happened simply, as do most profound moments. I was busy feeding the Golden Girls when he called to me from his perch on the ladder. I looked around but didn’t see a single rock. “I don’t know if there are any rocks right here,” I answered. Being a loving grandmother, of course I looked again. Looking again is when the magic happened. When I turned my attention to finding rocks for my grandson to throw into the pond, I saw them everywhere. Rocks of every size appeared before my eyes, as if by magic. And the more I looked, the more I found. I’d scoop them up by the handful and take them to the boy on the ladder. One by one he’d toss them into the pond, giggling at the fun of it. We talked about the ripples they made and how far he could throw, and which rocks made the biggest splash. When all the rocks were dispatched, I’d go get the next handful. We did this for quite a long time, never once running short of rocks. When I turned my attention to finding rocks, I found them. If I want calm and peace in my life, that’s what I must attend to. Times like this, I’m going to remind myself just how effortless it was to find those rocks. They were there all the time. Those of you reading this blog for a while know my reasons for starting it. But for my new readers, let me take a moment to summarize. 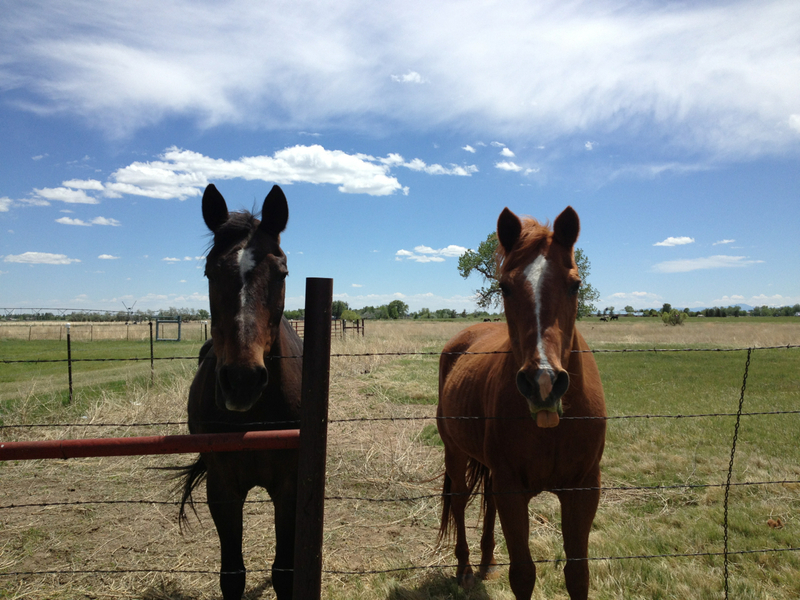 I wanted to explore my own aging through the lens of life in the pasture with our two old horses, Bud and Pepper. And for almost three years, I’ve done that until last February when Bud died. His death threw all of us into turmoil for a few weeks. Nothing was the same. 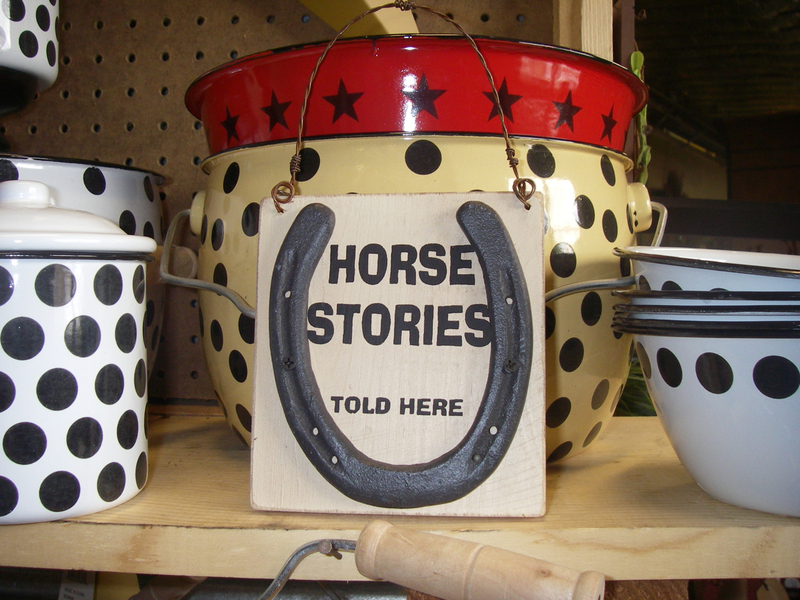 In the back of my mind I kept thinking I’d have to change the name of the blog since I no longer have two old horses. I carried on telling stories about the Herd of Oldsters, Miss Pepper and sharing assorted observations about nature and my life. But in the dark of night when I couldn’t fall asleep I thought about it. Wow! This from a relative stranger. I teared up at his words, and then thanked him. He was spot on. Sometimes I worry about things that honestly need no worrying. Interestingly, Chickadee has stepped in to fill the void left by Bud. She and Pepper have become fast friends. We’ve dubbed them “The Golden Girls.” Two old mares keeping each other company. Of course, Rick and I have unofficially adopted her. So here we are back at two old horses. Isn’t that how the world works, when we get out of our own way and allow whatever is going to happen, happen? Simple but not always so easy. 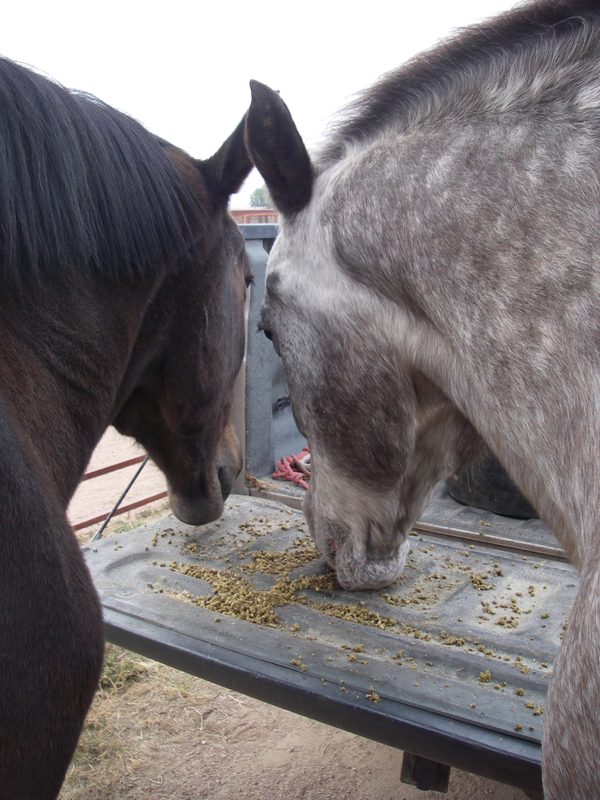 Three and a half years ago when I started writing this blog, it was with the intention to notice life, especially from the vantage point of two old horses. That would be Bud and Pepper. I wanted to pay attention to what these two old sweeties could teach me about the process of aging. Fast forward to today, and close to eight hundred posts later. What have I learned? What has grabbed my attention? Given me hope? Filled me with joy? Touched me deeply? On this day that happens to be my birthday, I offer this very incomplete list, in no order other than how the items occurred to me. This is a good start on a list that is ever-evolving. I’m curious what you may have learned as you’ve followed our daily life in the pasture. If you’re so inclined, leave a comment below and tell me. I am forever interested in how friendships occur in the pasture. Of course others would probably use a less human word, but friendships works for me. Because I think the horses do become friends. As I’ve gotten to know the herd by observing them every day, I see the connections. One of my favorite friendships to watch is between two old boys, Joe and Parka. These two bachelors hang out together. 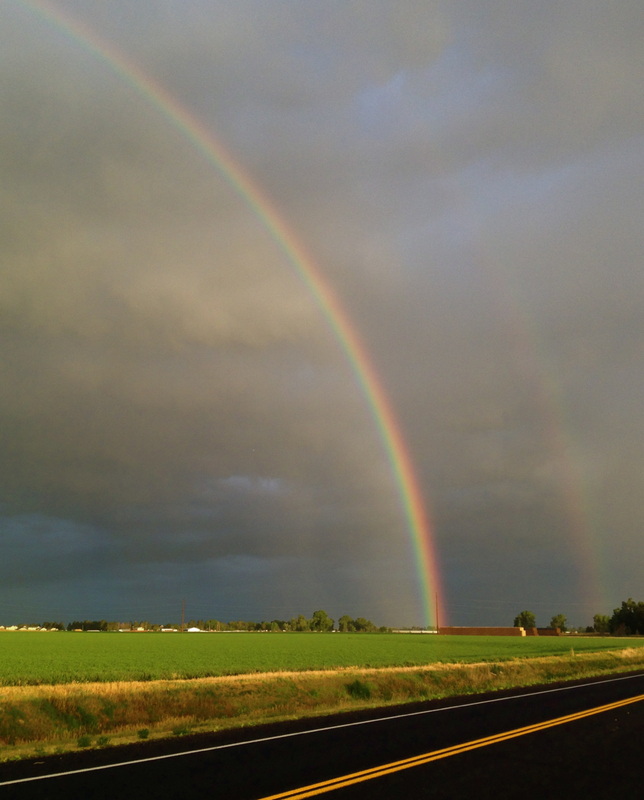 Almost always, if you see one, the other is close by. They know the way of the world and don’t put up with any shenanigans. “Been there, done that and bought the t-shirt” is their motto. There’s no kicking and chasing and yee-hawing going on. These boys are past all that. Unless you try to move them away from the snack line. Then things could get a little “western,” to borrow a phrase from author C.J. Box. Last week, I couldn’t find Joe. Parka stood alone at the fence line, and I swear he looked sad. I had this fear that Joe had moved to another boarding facility. I asked Parka, but he wasn’t saying. And here’s the interesting (to me) thing: I felt sad too. When the makeup of the pasture changes, I notice. I want all the main characters to be there, happily munching on grass and doing their horse thing – whatever that may be. I’ve had to realize two rather staggering facts. Both are lessons that keep showing up for me. I’m not saying I like it, but I do know the lessons are coming. P.S. Joe must have been taking a siesta in the shed on that day when I couldn’t find him. He’s back in all his elder statesman glory. Don’t have to deal with that loss today. My sister and I have been working on a mosaic installation for a meditation garden at Crossroads Safehouse, our local domestic violence shelter. It’s been a big deal, a lot of work and in the end, a wonderfully rewarding venture. 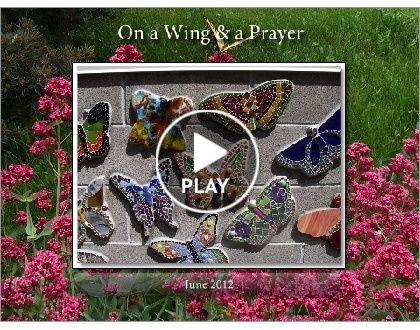 We pulled seventy-two artists together to create mosaic or fused butterflies and dragonflies to cover a thirty-nine foot grey cinderblock wall. We started out thinking we’d do a tree of life filled with butterflies. But soon that morphed into one hundred sixteen butterflies winging their way across the entire wall. Truth is, in the beginning we had no real idea how it was going to turn out. We were venturing into unknown territory for us. At times it was stressful. We even considered scrapping the whole project a time or two. Tempers flared. We got tired. Our hands hurt. Blah, blah, blah. You get the idea. This wasn’t always happy butterflies and sunlight. It was work. And a lot of it. But isn’t that how life goes? It challenges us. Things aren’t always just as we planned. But we keep going and do the best we can. And in the end, it turns into something stunningly wonderful. She’s one plucky girl. No one is going to tell her when she may or may not bloom. She decided that all on her own. And after a season of sitting alone on the potting table, totally neglected, she decided NOW was the time. 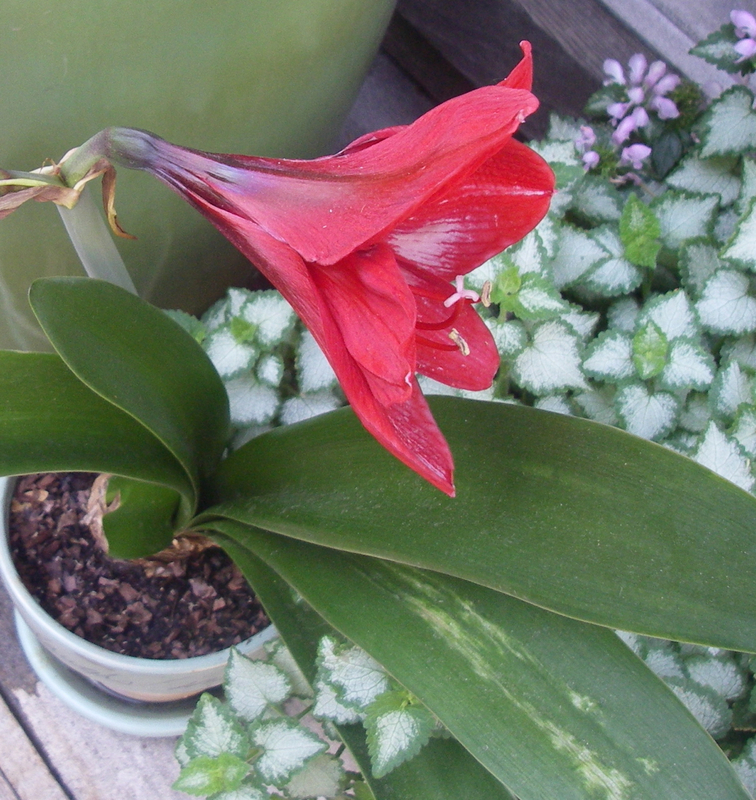 Never mind that she is supposed to bloom sometime around Christmas. That just didn’t work for her. I’m sorry to say I gave up on her. Shuttled her off to the potting table to be returned to compost. So she sat through the winter thinking about what she wanted to do. I can imagine it was somewhat of a difficult decision. In many ways it’s much easier to give in. Haven’t we all been there at one time or another? But Amaryllis is obviously no quitter. She reminds me that late bloomers can be quite beautiful. Never, ever think you’ve lost your chance to blossom into something wonderful. 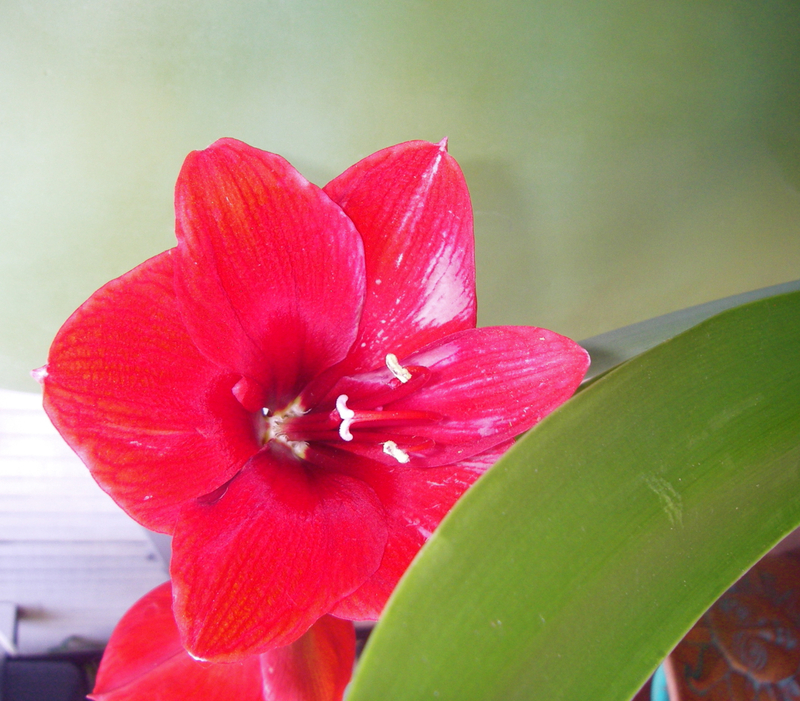 And if you begin to lose heart, just remember Amaryllis. She’ll tell you it’s never too late to get your bloom on! I began this blog to write about what my two old horses were teaching me about life, and especially, the process of aging with grace. Except for a few detours along the way, I think I’ve held pretty true to my goal. Animals are powerful teachers if we allow them to be. So what have I learned from the drama that has unfolded over the past week? 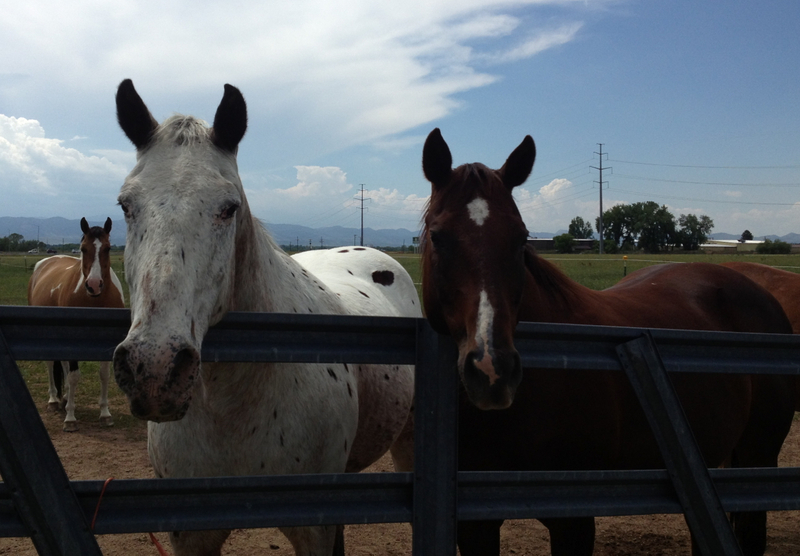 What lessons have my horse mentors helped me wrap my brain around? The big lesson for me has been the danger of over anthropomorphizing. Big word! Translation: Be very careful when attributing human qualities to animals. We aren’t the same. You know from following my antics in the pasture that I’m quick to give human traits to the horses. That’s not going to stop anytime soon. But I am more aware that horses are not people. We see the world very differently. And that’s as it should be. Okay, with that huge disclaimer out of the way, let me continue. I have taken a painfully hard look at myself over this past week, because when Pepper left was stolen from the Herd of Oldsters, it shocked me. It felt personal and I responded with anger and fear. I can only control myself, not the rest of the world, as I sometimes often try to do. For several days I was upset with Pepper. I didn’t like feeling angry with her for simply being a horse. Yesterday I approached her with love and acceptance, and we both relaxed. I was upset because I believed this change in the herd was going to cause more work for me. I took it personally. I projected dangers into the future, instead of allowing the horses and me to simply experience each moment as it comes to us. Bud and his bachelor pals know how to take care of themselves. Cuts heal and life goes on. Anger and fear breed more of the same and squeeze out any hope of trusting. When it comes to their world, horses know far more than I will ever hope to know. I temporarily forgot that. People and animals you love will do things that you don’t like. Love them anyway and give them the gift of being able to figure out their own lives. Thanks everyone for caring about the horses; about me. All is well, and I’ll definitely keep you informed. Bud wanted me to thank you for all the good thoughts and let you know that he’s okay. 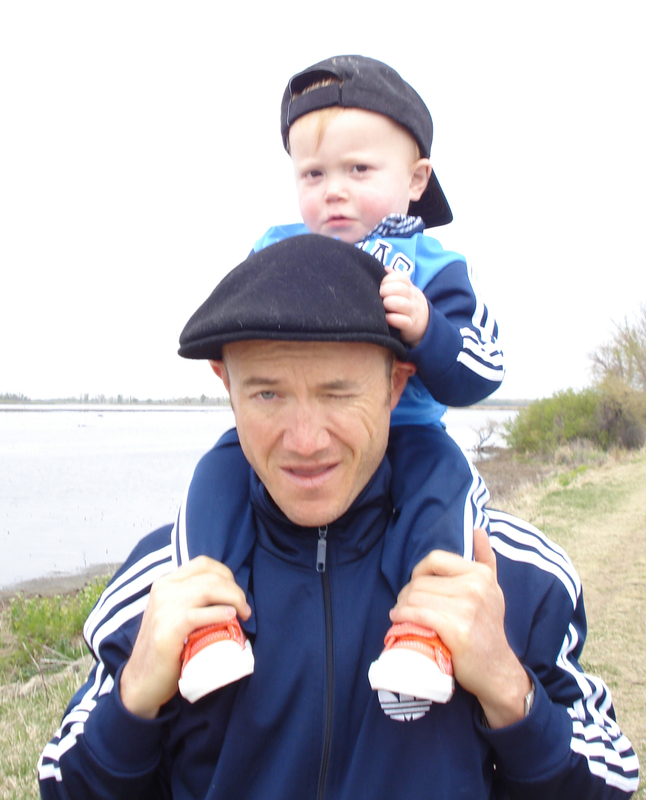 And a special shout out to my son (and favorite dad these days).